ZURICH, Switzerland -- A little over a month ago, Viktor Yanukovych was inaugurated president of Ukraine following a narrowly fought election, which, according to documents presented by his opponent, then-prime minister Yuliya Tymoshenko to the country’s High Administrative Court, was marked by fraud. Ukraine Foreign Ministry building featuring EU and Ukrainian flags. After the Court refused to examine her evidence presented in eight bound volumes of documents and accompanied by videotapes, Yanukovych subsequently forced a vote of confidence on her governing coalition in the Ukrainian Rada (Parliament). When Tymoshenko lost that vote, Yanukovych then set about building his own parliamentary majority, recently naming a cabinet to govern the country within the 30-day limit prescribed by the Constitution. It will take at least two or three months for the Constitutional Court to issue a verdict in the matter, with uncertain implications for legislation approved in the meantime. Rather than note such troublesome details, EU diplomats have preferred to congratulate themselves anonymously in the press on “playing their cards right” on Ukraine. It is likely that the European Parliament will play an important role in determining the future course of actual relations between Brussels and Kiev. Alexander von Lingen, a former principal of the Secretariat of the Presidency of the European Parliament, and current director of the EquipEuropa analysis and training consultancy in Brussels, explains to ISN Security Watch that the European Parliament had already held its first bilateral meeting of the Parliamentary Cooperation Committee with Ukraine under the new government, addressing in the first instance such substantive issues as visa-free travel and other practical matters. The new foreign minister, Kostyantyn Gryshchenko, who has held the post in the past and is in Motyl’s words “a serious fellow and really genuine diplomat,” has already asked for precisely this. Motyl criticizes the EU for having foregone already five years ago the opportunity to play a positive role in Ukraine. He also remarks that Brussels “lost interest” in Ukraine after the latter, following the former’s wishes, shut down the last reactors at Chernobyl. On the domestic side, Olszanski at the Centre for Eastern Studies in Warsaw points to fissures among the parties composing the coalition itself, which is “far from being internally united,” as well as to “friction between representatives of the various influence groups” in Yanukovych’s own Party of Regions. Motyl points out a fundamental and very recent shift in Ukrainian popular opinion that has escaped most outside observers. Most people, he says, expected Yanukovych to execute only the principal functions of a government, such as passing a budget, and then call for new parliamentary elections in autumn. 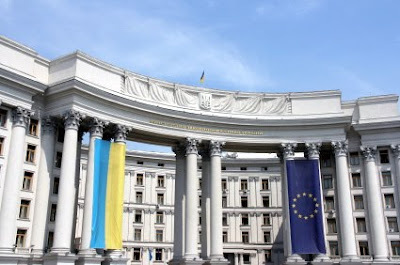 One of the first tests of the new government’s competence will be how it handles theIMF mission to Kiev this week, which will discuss reinstating the (suspended) fourth tranche of the bailout program. This will be an indicator for future relations with the European Bank for Reconstruction and Development (EBRD) and, still more sensitively, the European Investment Bank. The advisory opinions of the European Parliament will have weight in these later decisions on the European level.